5 Bedroom Detached House For Sale in London for Offers in the region of £2,350,000. Extending an impressive 4623 sq ft, an Historic Grade II listed building which was once the residence of Lord Chancellor Sir Thomas Wilde and Baron Truro and parts of which date back to 1673. 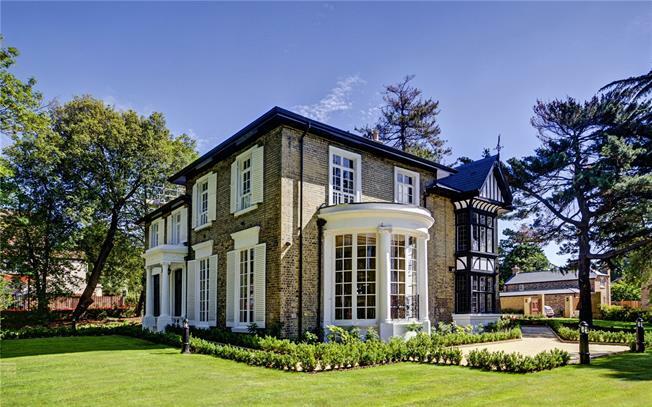 This newly refurbished 5 bedroom detached property has many extraordinary and authentic features including Scaglioa Ionic columns, 18th century pro-style Corinthian porch, original French style louvered shutters, ornate stained glass windows and restored fireplaces. These traditional features sit effortlessly alongside contemporary additions such as under floor heating, fully fitted kitchen, bathrooms and en suites fitted with heritage sanitary ware and Carrera marble wall and floor tiles. There are beautifully landscaped mature gardens and lawns and drive parking for several vehicles. Authentic and original features mixed with contemporary additions.